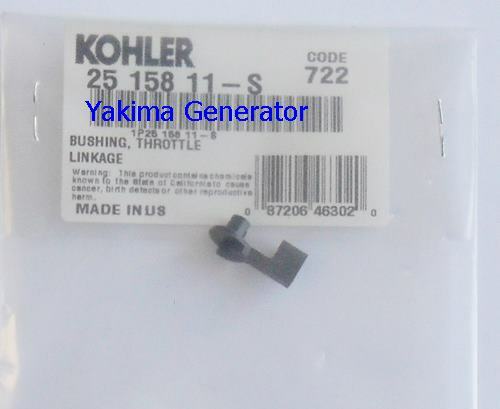 Kohler Throttle linkage bushing 25 158 11-s is recommended by Kohler to be replaced every 500 hr. Fits: Kohler engines and Kohler 8 -20 kw standby generators. This bushing should be replaced with Kohler 25 158 08-S bushing and 358359 kohler stepper motor coupling.